(Q) Do I need a permit for an accessory building or pole barn? (A) Yes, if the structure is greater than 200 square feet and not on a permanent foundation, then you will need to obtain a Residential Detached Accessory Building permit and have inspections. There are some exceptions for Agricultural Buildings on Agricultural Land-please contact our office so that we may determine if you qualify for the AG exemption. (Q) Do I need Engineered Foundation plans for a pole barn? (A) Wood framed Pole Barns for Residential Accessory use and are less than 2,400 square feet may not require engineered foundation plans. Please contact our office to discuss your particular project. (Q) Can I do the work myself as the homeowner? (A) Yes, if this is your primary residence, you may do all of the work; providing that all items are built in accordance with the adopted building code. You will need to obtain permits and have inspections. 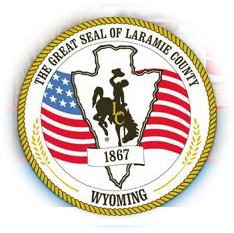 (Q) What are Laramie County's Contractor Licensing requirements? (A) Laramie County does not currently require contractor licensing; however, the State of Wyoming requires that all Electricians have the applicable State Electrical License. For further information, please contact the State Fire Marshall's Office at (307) 777-7288. (Q) Do I need a permit to install a personal wind turbine at my home? (A)Yes, please see the Alternative Energy Permit Application. The fee is $90.00 and inspections are required. (Q) Do I have to have a permit to move my mobile/modular/manufactured home? (A) Yes, you will need to obtain a Manufactured Home Permit from our office and have inspections. Additionally, if the home is 20 years old or older, we will have to do a pre-inspection prior to issuing a permit to set it at the new location. There are different requirements for setting a home in a park than there are for setting a home on private land. Please contact our office at (307) 633-4303 to discuss the specific situation. (Q) Do I need a permit to finish my basement? (A) Yes, you do need a permit and inspections to finish your basement. The processing time is usually fairly minimal for this type of permit. Please see the Basement Finish Permit. (Q) Can I start work once I turn in my permit? (A) No, please do not start your project until you have your issued permit in hand prior to starting any work. (Q) How long will it take to get my permit issued? (A) While the length of time for a plan review varies based on the complexity of the project, you can expect to have your permit issued within 7-10 days from the time we receive the complete application package. Commercial plan review processing time depends upon the size of the project. (Q) What is the purpose of a plan review? (A) The main purposes of the plan review is to ensure code compliance and examine your project before you begin – to anticipate any problems which could contribute to the completion time and cost of the project. Your plans will be reviewed as quickly as possible, depending on the quality and quantity of information provided to us. (Q) How long is my permit good for? (A) Residential permits are valid for 365 days from the date of issuance providing that an inspection has been logged into our system within the first 180 days. (Q) Are there restrictions on how close I can build on my property? (A) Yes, it varies on the exact location of your property. Please contact our office to find out the requirements for your location. (Q) Do I need a permit for any of the following: roofing, siding, windows, electrical work? (A) The Laramie County Commissioners voted that the following RESIDENTIAL work is exempt from needing permits and inspections: Roofing of a non-structural nature, Siding, and Windows that are replacing a same-size window (the header is not changing). All Electrical work shall have a permit and inspections through our office. (Q) What is "Valuation", and how is it determined? (A) Valuation is a dollar figure that is the cost of the project including professional labor and materials. Homeowners who are doing the work themselves shall provide a valuation that includes a fair labor price. You can also think of the valuation as insurance replacement value. Residential projects are assessed a price per square foot value from which the fees are calculated. Please see the "Calculating your project valuation" handout located on the Building Permit Applications & Fees page for the current price per square foot schedule. Please contact us at (307) 633-4303 for assistance in calculating application fees for valuations greater than $100,000. (Q) What is the preferred method of payment for permit applications, and when is payment due? (A) We accept credit cards, cash, check and money orders payable to Laramie County Treasurer. Credit card payments and electronic check payment can be made by selecting Payment Options from the menu on the left side of the page. PERMIT FEES ARE DUE AT TIME OF APPLICATION SUBMITTAL. (Q) What needs to be inspected on my project? (A) All underground work, rough framing, rough plumbing, rough electrical, rough HVAC, rough gas piping, and final work. A good rule to follow is: if you will have to cover up or fill it up or turn it on, then we need to inspect it before you do so. When your project is complete, make sure that you have the final inspection(s) passed prior to occupying or using your structure or permitted feature. (Q) How do I call for inspections? (A) To request an inspection, call (307) 633-4615 with your permit number, address, type of inspection being requested, whom to contact and a phone number for us to call if we have questions. It is important to call in for the inspection a minimum of 48 hours before you need the inspection. You may also request an inspection via our website by clicking on the EMAIL INSPECTION REQUEST tab, accessible from our website. (Q) Can I request a specific time for my inspection? (A) As each inspection varies in the amount of time required to perform, we offer morning or afternoon inspections. We will be happy to call you ahead of our expected arrival time to perform the inspection. (Q) What needs to be at the jobsite when the inspector arrives? (A) The building permit needs to be displayed in a visible location and a copy of all of the plans that have been approved by our office are required to be on the jobsite when the inspector comes to perform the inspection. The address shall be located in a highly visible location. (Q) What happens if I am not ready when the Inspector arrives? (A) It is possible that you may be charged a trip fee of $50.00 for each time you are not ready when you call for inspections. Please ensure that you plan ahead and that all of the paperwork is onsite for the Inspector. To avoid trip fees, please call our office to cancel or re-schedule your inspection prior to the day of the inspection. (Q) Are there separate inspectors for different phases of construction? (A) No. Each of our inspectors are qualified to inspect all aspects of your project. (Q) How will I know if the inspector has been there and if I passed my inspection? (A) Our inspectors are equipped with laptops and printers; they will print out an inspection history showing the results of your inspections and all of the comments that have been made. Be sure to have a box, tube or secure place for the inspector to leave your results. You may also go to the Citizen Access portion of our website and look at your inspection history at any time, which can be accessed through the Quick Links located on the left side of the page. (Q) What do I need to do if changes are made in the project? (A) You are required to notify our office, in writing, if there are any changes to your project. Changes are to be approved by the Plan Reviewer and approved copies on site prior to calling for those inspections. Failure to do so may result in a delay of inspection results. (Q) How do inspections affect the duration of my permit? (A) You are required to have an inspection within the first 180 days from the date the permit was issued, in order to keep your permit active. The permit will expire 365 days from the issue date. (Q) Can I get an extension on my permit if I need more time to complete the project? (A) An extension may be requested if the work is not going to be complete within the year, providing there is a good reason and you can show consistent progress. The extension request must be received, in writing prior to expiring and approved by the Sr. Building Permit Technician or one of the Building Officials. You are not allowed to occupy the space, or move in any personal items, until you are in possession of the Certificate of Occupancy. (Q) Are Commercial projects and inspections handled differently? (A) Yes, Commercial work must start within the first 180 days from the permit issue date. The project must show regular activity, having inspections every 180 days. For particularly large projects, a specific Building Inspector may be assigned to the project, with whom you will need to coordinate inspections directly in order to avoid delays in the project. All Commercial projects should also coordinate with the Planning Office with regard to all final inspections, in order to ensure fulfillment of the site plan requirements, prior to requesting Occupancy. (Q) What if occupancy of a structure is needed prior to issuance of the Certificate of Occupancy? (A) Should a Temporary Certificate of Occupancy be required, there will be a non-refundable fee of $100 for each occurrence. This fee is to be pre-paid and occupancy is not valid until the certificate has been signed by the Chief Building Official and the agent for the Contractor. All requests for a Temporary Certificate of Occupancy must be made in writing. Personal property will not be allowed to be moved into a structure without express written consent from the Chief Building Official. Violation of this policy may result in a fine of $750 per day, charged to the responsible party. Temporary Certificates of Occupancy will not be issued if there are any outstanding life safety requirements.